A basic service set (BSS) is the cornerstone topology of any 802.11 network. The communicating devices that make up a BSS consist of one AP radio with one or more client stations. In the last blog, we discussed how BSS color is a numerical identifier of a BSS. BSS color, also known as BSS coloring, is a method for identifying overlapping basic service sets (OBSSs). 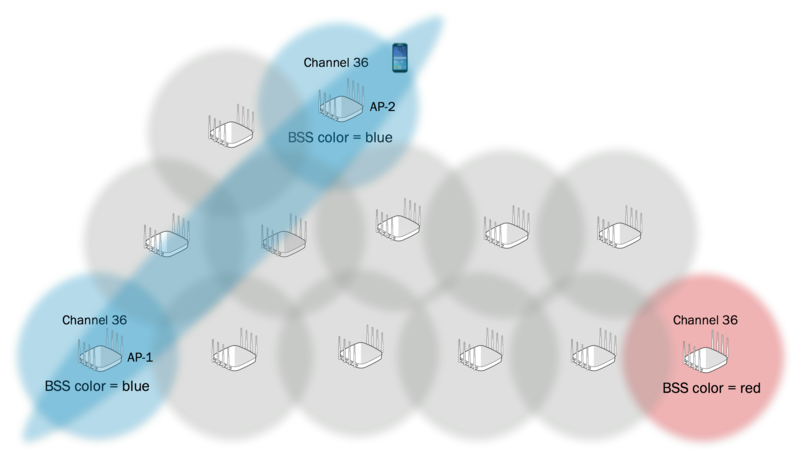 802.11ax radios are able to differentiate between BSSs using a BSS color identifier when other radios transmit on the same channel. If the color is the same, this is considered to be an intra-BSS frame transmission. In other words, the transmitting radio belongs to the same BSS as the receiver. If the detected frame has a different BSS color from its own, then the STA considers that frame as an inter-BSS frame from an overlapping BSS. An 802.11ax AP has the ability to change its BSS color if it detects an OBSS using the same color. The duplicate color detection of an OBSS is also referred to as a color collision. 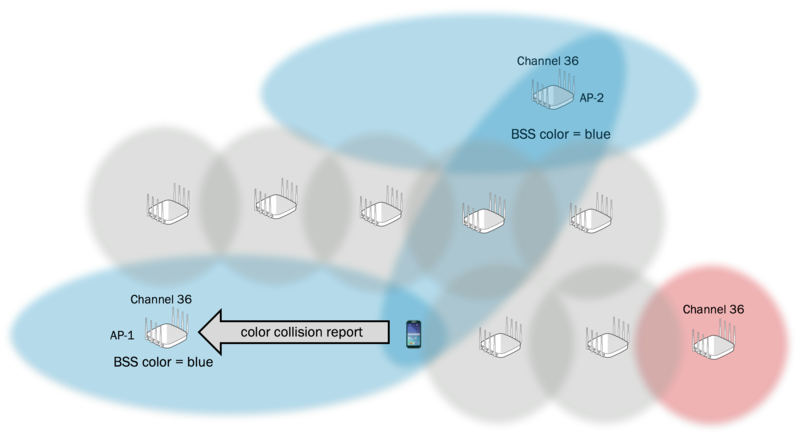 As shown in Figure 1, an 802.11ax AP can detect a color collision if it hears a transmission from an AP or client in a different BSS that happens to have the same color. Additionally, an associated 802.11ax client may send a color collision report to its associated AP if the client detects a color collision. As shown in Figure 2, AP-1 cannot hear AP-2, however, an associated client to AP-1 can hear the OBSS with the same color and can then send a color collision report. The client station’s autonomous report will include BSS color information of all OBSSs that the client is able to detect. When an AP detects a color collision by itself or based on the color collision information the AP gathered from the autonomous client reports, the AP can decide to change its BSS color. It should be noted that the criteria for changing the BSS color and the method for selecting a new BSS color are beyond the scope of the current 802.11ax draft amendment. 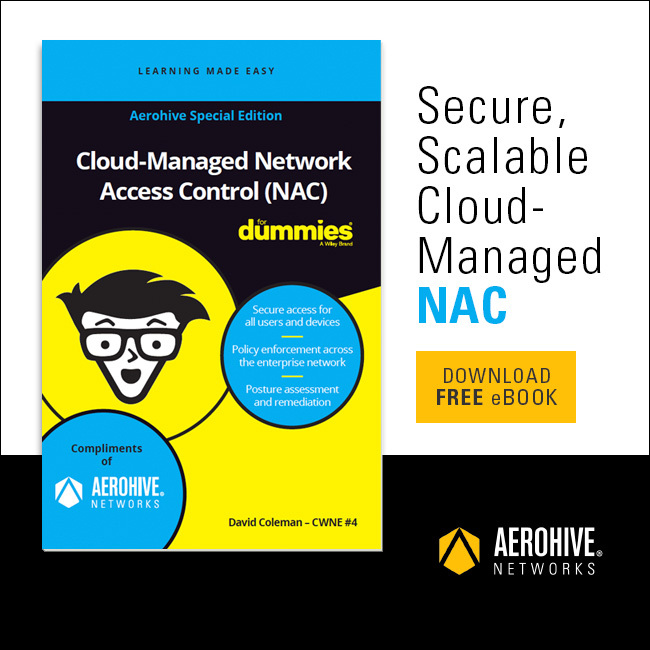 Most likely, WLAN vendors will incorporate BSS color changes into adaptive RF protocols such as the Aerohive Channel Selection Protocol (ACSP). An AP can inform all of its associated clients about a BSS color change in an Action frame called the BSS color change announcement frame. The color change information can optionally also be included in beacons, probe responses, and reassociation response frames. 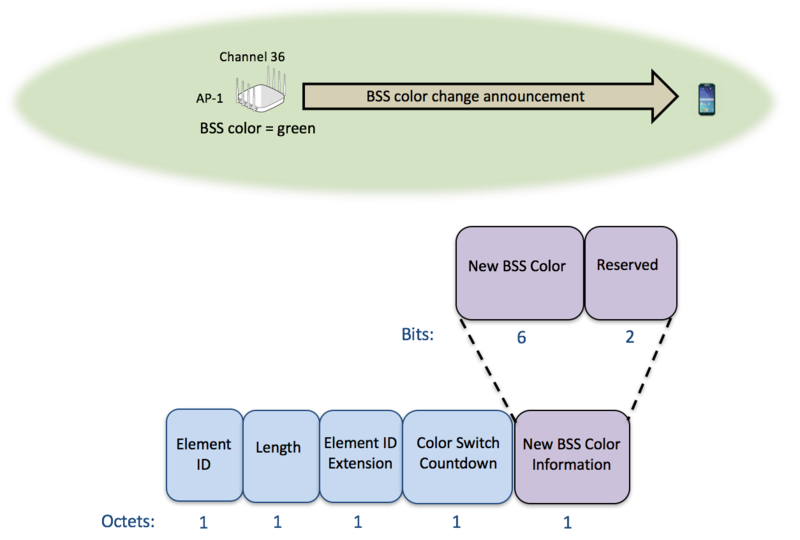 As shown in Figure 3, an information element called the BSS color change announcement element contains a Color Switch Countdown field which tells the associated clients how many more beacons the AP will transmit before the BSS color change occurs. The New BSS Color subfield contains the numerical value of the new BSS color. BSS color information can be used in modes of Spatial Reuse Operation to apply adaptive clear channel assessment (CCA) thresholds for detected OBSS frame transmissions. The goal of spatial reuse is to ignore transmissions from an OBSS and therefore be able to transmit at the same time. We will discuss these modes of spatial reuse operation in future 802.11ax blogs.